This hole made the list purely on date and time. My 2017 began at 6:37 AM on the golf course, specifically at Tahquitz Creek in Palm Springs, CA. A stone’s throw from my mom’s house, this was the easiest and best way to start the New Year. It was a solo mission and rather cold, by Palm Springs standards. The sun had yet to clear the San Jacinto Mountains. I couldn’t really feel my hands on the tee but I managed to bunt it into the fairway, slap it up toward the green and roll a couple of putts along the dew soaked grass for an opening par. A nice beginning to the year. 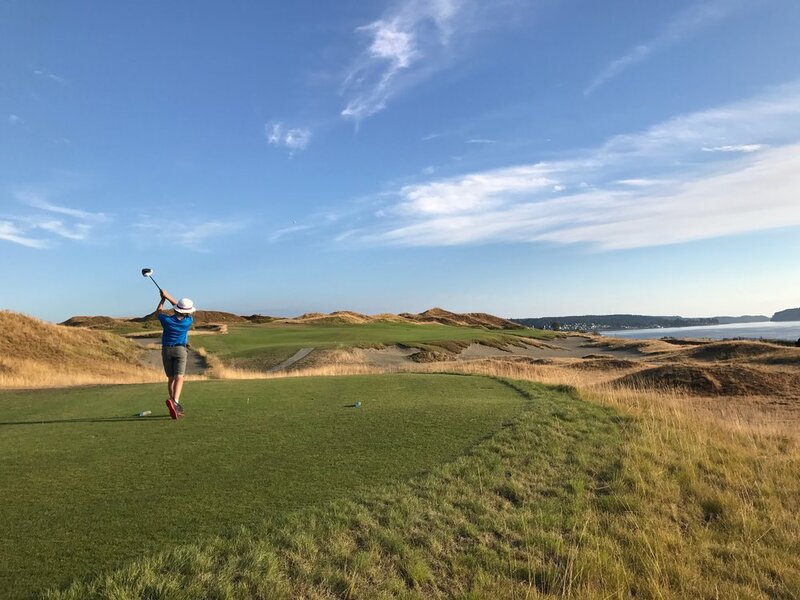 The second at Tetherow made the list for multiple reasons, but the main two are: the company of Justin Weeks (@DeezPutts) and Stephen Malbon (@Malbongolf) and the strategy of the hole. This hole also produced a rather funny moment. We were surfing the earth that day and on the approach to the green Justin tried a rather gnarly maneuver and ejected off the board, skidding along the fairway. Lucky for me I had my camera out and caught the wipeout on film. As for the strategy, our forecaddie gave us two options: pump it left and catch the speed slot, leaving you a chance at going for it in two or hit it right where there was more fairway. I tried the hero shot but my swing got the best of me and I ended up on the right side. I took my medicine and layed up but still managed a par. In March I made my way down to Dallas to visit Justin. 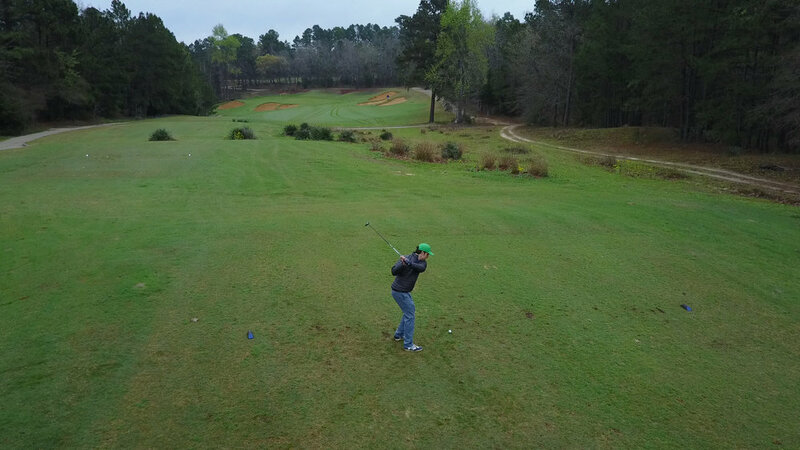 My host created a spectacular itinerary of golf and tacos (you can read about it here) but I managed to contribute by getting us a tee time at Trinity Forest. I chose this hole because of the design. C&C Course factory built a beauty in Trinity Forest. The 3rd shares an expansive green with the 11th hole. The double green is a rarity in modern design which is a shame. This fall my sons, father in-law, and I played in a 4-man par 3 tournament. All 18 holes were converted to par 3s. 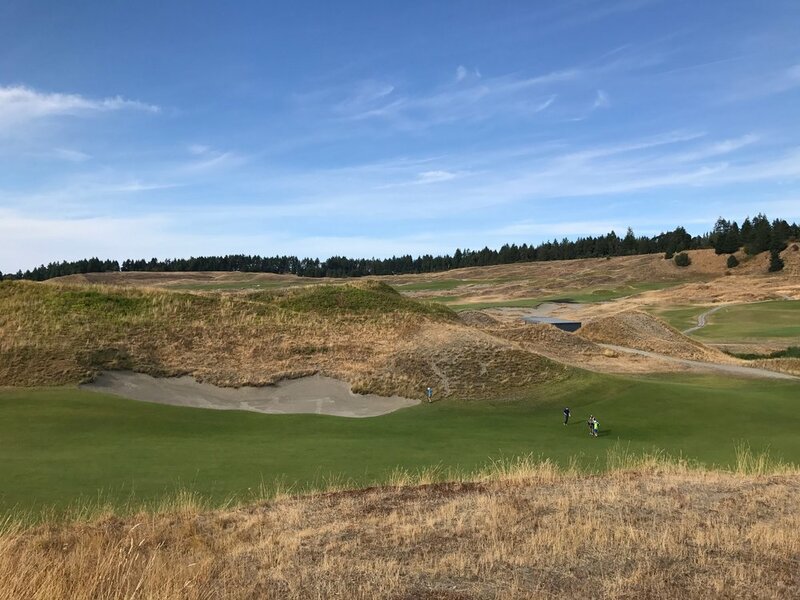 The fourth at the Hill course is already a par 3 but the forward tees were still moved up significantly, playing about 75 yards. It was the KP hole and my 10 year old son stuck it, nearly jarring it. Watching my kids play golf always puts a smile on my face but being on the same team as them that day was even more special. Speaking of my sons, I chose this hole because of the day we played it. 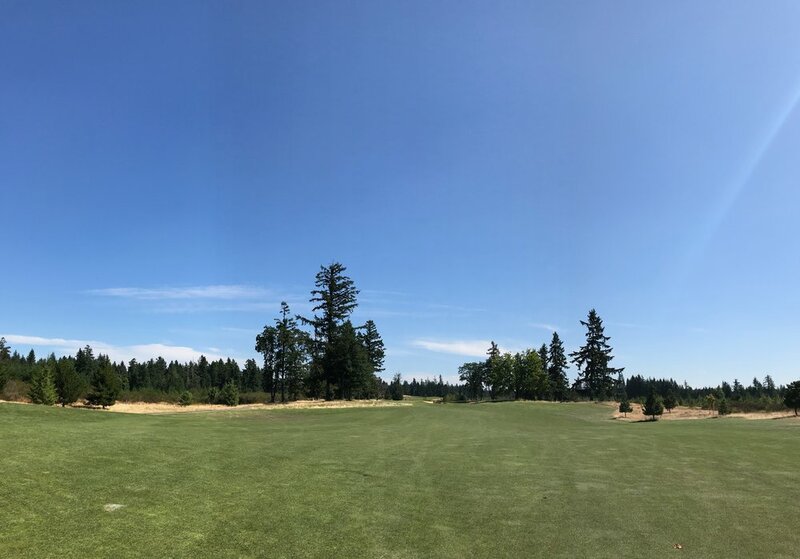 My sons, my father in-law, and I played a quick 9 after the boys competed in Drive, Chip & Putt at the Home Course in DuPont, Washington. The fact that the boys wanted to head out to the course after a competition that didn't go their way said a lot. It also helps that the Home Course is a hidden gem. Part of my previously mentioned trip to Texas, this course is another hidden gem nestled in Frankston, Texas. The course is pure, understated, and most of all fun. It’s a course that makes you use every club in your bag. The 6th hole stood out to me because of its beauty and playability. It also helps that Justin got some great drone footage. I had to include this one because of the significance of the round. The 7th marked my first birdie of the day. I went on to post my best score ever, a 74. Lately I’ve tried not to focus too much on my score and try to appreciate the variation and challenge each hole represents. That being said a personal best is still something to smile about. The signature hole at the Pronghorn Resort. We played it twice during the Jones Weekender and yet the most meaningful experience came during an emergency 9 session after the second day of the tournament. 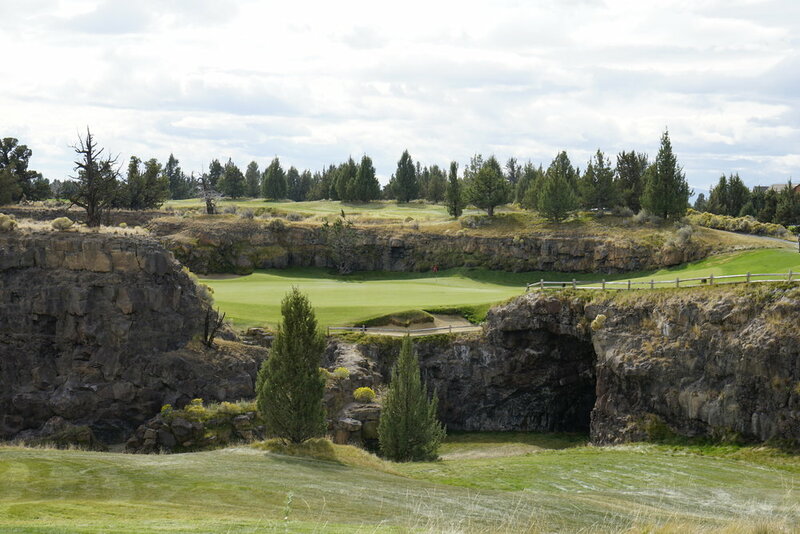 Justin and I each played several shots and on our way to the green we drove down into the lava tubes. It was eerily quiet, cool, and most of all dark. This hole made this list due to a memorable shot by my playing partner. Mike played a fade off the tee that got caught up in the wind a bit and ended up on a steep hill in the right rough. Being one to take on the challenge, he courageously navigated his way up the hill, located his ball, and took a stance. The ball was at chest height and sitting down. It would take an aggressive lash to advance the ball a mere 50 yards. He gripped and ripped and got the ball out but at a cost. The might of his swing took his feet out from under him and rather than fight forces of nature he extended his hands above his head with the club still firmly in his grasp and slid...face down...15 feet of hill into the fairway below. This graceful “dismount” brought our group to our knees with laughter. This was part of my 72 in 72 trip to Wisconsin. I had to include this hole because despite an absolutely wonderful day, I could not have played this hole any worse. Visually off the tee the landing area appears rather narrow when in reality it doesn’t get tight until you’re hitting your approach. What do I do? I snapped off a power hook and ended up on top of the dune that separates the 1st and 10th holes. From there all I could do was hack out to the fairway. Unfortunately I hacked a little too much, leaving me a blind approach for my second. I came up short in the bunker, splashed out and two putted for a nice double. Well played it was not but the view from the top of the dune was spectacular. In June we were back in Palm Springs and I got the opportunity to revisit a course that I had played with my grandfather as a child, The Vintage Club. That day we played the Desert course. The 11th is a drivable par 4. As I stepped on the tee box I remembered a round with my grandfather over 20 years ago. The group ahead of us was still on the green and I wasn't sure if I could reach them. My grandpa encouraged me to hit first and apologize later so I did. I managed to knock it on the green. My ball rolled past the group as they finished. They looked back at us and I looked at my grandpa. He was grinning ear to ear. He said it was a worthwhile thing to apologize for. When we got to the green I noticed that they teed my ball up where it came to rest on the back fringe. That gave my grandpa a good laugh. It turned out he knew the gentlemen ahead of us and they were okay with a young teenager hitting into them...just this once. I had to attempt the same shot this summer. I blocked it a little farther right this time and had to scramble to make my par. 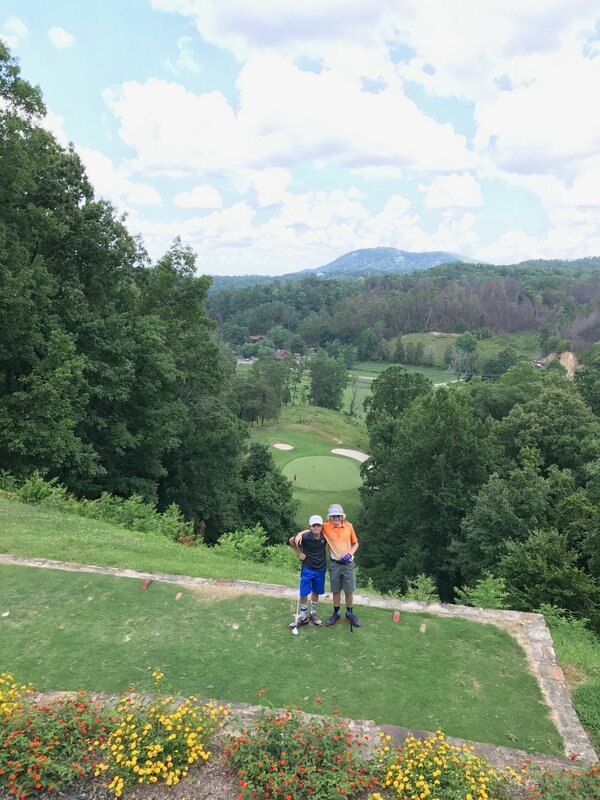 I’ve never played a hole quite like the 12th at Gatlinburg GC. The 12th, known as “Sky High,” drops 200 feet from tee to green. Tee shots fall out of the air leaving divot craters on the green below. Once we hit our shots we drive the winding quarter mile path down to the green. This hole was an experience in and of itself. My sons really got a kick out playing with their Great Uncle Jack as well. This hole made the list because of a memorable shot. I left my tee shot short and right on the fringe. Normally I would putt it from there but the pin was tucked back left behind a mound. So I channelled my inner Phil and flopped it, landing 10 feet from the hole. I made the putt and did a little Phil fist pump. Not all pars are created equal, that one felt good. I chose this hole because of the weather. After getting pelted with heavy rain for nine straight holes the skies finally parted as we walked up the 14th fairway. With a Spotted Cow in hand all I could do was smile. I made a mess of the hole, hugging the right side the whole way but as my grandpa said, "there aren't any pictures on the scorecard." With the Dallas skyline as your backdrop this tee shot is quite memorable. I got to play Stevens Park (another hidden gem) twice while in Dallas and loved it. It’s everything a muni course should be, including square greens. Oh and I hit a nice little drive on this hole, making it that much more memorable. The 16th hole is when it hits you, this wonderful round is coming to a close. The sun was starting to set over the sound and the views were spectacular. I didn't want this round to end. As far as the golf goes, I completely ejected ala Branden Grace. My son found the greenside bunker but managed to get up and down for a nice par. It was a nice little proud dad moment. The signature hole at Tetherow is beautiful. We got to play the course twice that day and I didn’t get better than bogie either time. Part of what made this day stand out was Justin and I getting a chance to play with Mr. Malbon Golf himself. Yet another round that I will remember for a very long time. The finishing hole at Erin Hills is big and not easy, unless you’re Justin Thomas. For me it was a full three-shot par 5 and it took three good ones and a testy two-putt to make par. Needless to say I was all smiles for the group photo that followed. Putting this list together makes me appreciate how special 2017 was. I was able to play in nine different states with my family, friends, and some Instagram legends. My bucket overflowed with Bucket List destinations. On the course I couldn’t have asked for a better year, one that may never be duplicated. 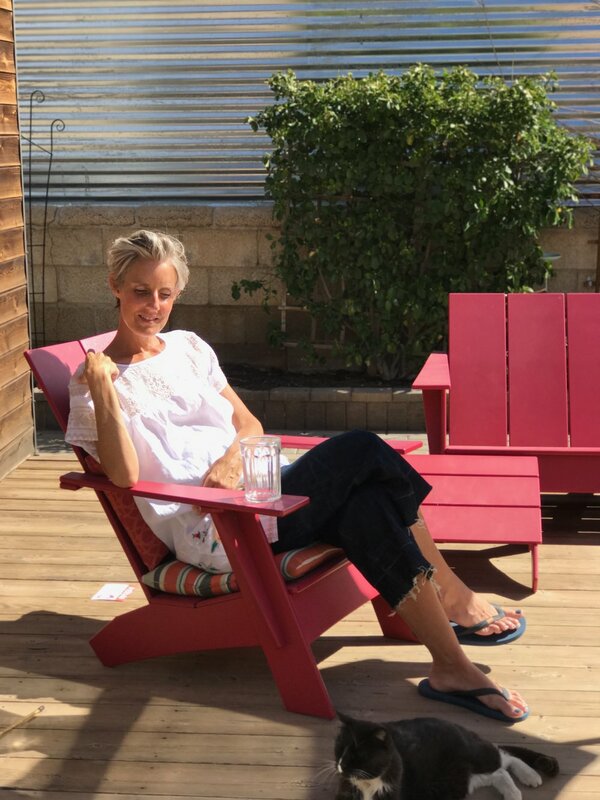 My wife and I often discuss the disconnect between reality and Insta-reality. Social media allows us to frame our lives in a way that seems effortless, without angst, and void of sadness. I enjoy sharing my stories, my happiness, and my adventures. However, life is not so simple. 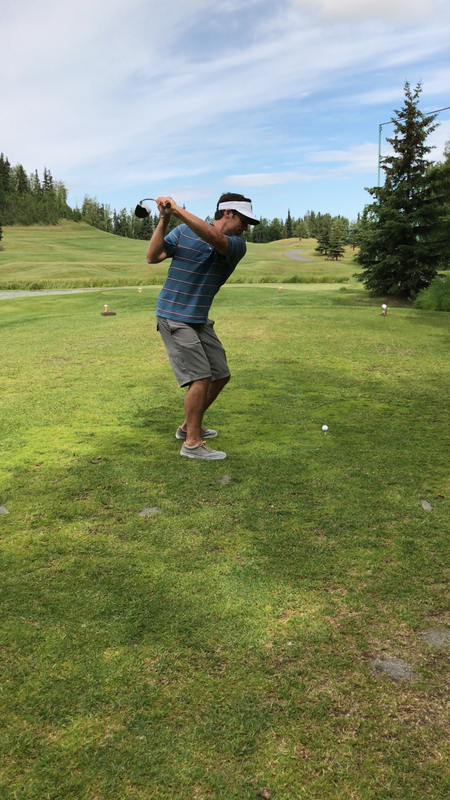 Golf is borderline therapeutic for me. A round of golf gives me the opportunity to check out from the world for a few hours. This year I felt like I needed golf more than ever. Off the course this was the most difficult year I have ever experienced. In April we lost my sister to ovarian cancer. My sister never took up golf (unless you count the one trip to a driving range in Brattleboro, Vermont back in 1999) but she always appreciated my passion for the game. Kate was an artist and motivated me to write about golf and share my stories. Her encouragement always meant the world to me. I miss her every day.